Double barreling In Poker: Is It Good Or Bad? Poker is a game of decisions, and one of the most difficult is deciding when to double barrel and when to back off. Choosing poorly can result in a significant hit to your chip stack. There are two ways to win a hand in poker: with the best cards, or with aggression that forces your opponents to fold. The double barrel can be an effective way to win when you don't have the best cards, but it can also be risky. What is a double barrel in poker? A double barrel is a bluff or semi-bluff that occurs after the turn and after you made a continuation bet on the flop. You are trying to build on the image of strength you established with the continuation bet and fire another bet - a second barrel - even though you still have not connected with the board. The intent is to get your opponent to fold. You are not trying to build a pot. In these situations, you are not playing your cards as much as you are playing the board. This strategy relies on your opponent to be weak and willing to fold. Dry flops, such as rainbow flops with no card higher than a jack and no more than two parts to a straight (say J-7-3), are ideal for double barreling, especially if you have two overcards. An important part about a double barrel is to have some equity - the ability to get a card on the turn or river that improves your hand. If you have two overcards to the board (e.g. an Ace-King in this example), then double barreling can be effective. Another good time to double barrel is when the turn card is an overcard to the board. Let's say in the previous example, a Queen comes out on the turn. If your opponent is playing a mid pair (say he had A-7), that pair of sevens is looking worse and worse. If you showed aggression in the earlier rounds, then A-Q or even K-Q would be within your perceived range of hands. This would increase the likelihood that you can get players with better hands to fold. Conversely, when the turn card is a low card (say a 6 in this example), it likely won't change your opponent's perception of the strength of your hand. So he will be just as likely to call a double barrel as he was to call your continuation bet. A paired board is also a good time to try a double barrel, especially a mid-range or high pair (8s through Aces). Smaller pocket pairs (7s or lower) aren't quite as scary because players generally don't expect an opponent to have called pre-flop raises with a 7 or lower in their pocket. Paired boards are scarier than Cujo without his leash. Another good time to double barrel is when you pick up a flush or straight draw on the turn. This gives you increased equity in the hand. However, if you are last to act, it also increases the value of checking for the free river card. An effective double barrel requires your opponents to have weak hands. In a heads up situation, dry flops are more likely to have missed both players. With more than two players in a hand, the odds increase that somebody connected with the flop, making your double barrel less likely to be effective. In these cases, position really becomes important. You probably don't want to lead in these situations, but if you are in position and it checks to you - especially if it also checked to you after the flop - floating a double barrel can be effective. Players with strong hands likely would not check twice, and a double barrel here is a good way to continue selling the story of strength you are building. Keep in mind, however, that you may be forced to decide to fire a third barrel on the river. If your opponent is a calling station, then double barreling is not a good strategy - at least after the turn. The point of a double barrel is to get your opponent to fold, not to build a pot. If you are in position and you are checked to on the turn and you still haven't connected with the board, the best move would be to check back and take a free river card to see if you can hit the card you need. If you know your opponent is not going to fold, then just check. The delayed double barrel may be the best approach for calling stations. In other words, wait to fire the second barrel after the river. This will eliminate a lot of players who were on draws and who missed. An ideal time to try this is on flops with two cards of the same suit that go brick-brick on the turn and river. 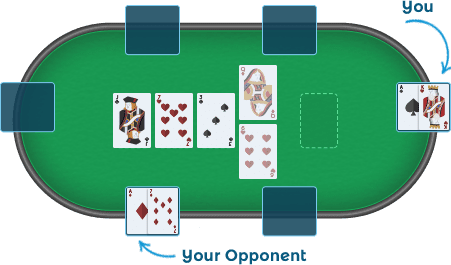 Calling stations love to chase straights and flushes, and often can't fold pocket pairs, regardless of how many overcards are on the board. But if they get to the river and still haven't hit, they've run out of chances to improve and will be more inclined to fold. In these cases, the delayed double barrel may actually work. The size of your double barrel bet is crucial. It has to be larger than your continuation bet, which should have been larger than your pre-flop bet. 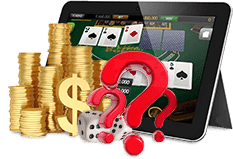 Applying constantly increasing pressure to your opponents is key to making the bet seem more believable, and it sends the signal that it's going to cost them even more chips on the river. If your opponent is on a draw, you want to at least make them uncomfortable when they have to decide to chase that flush on the river. Under no circumstances should you reduce the size of your bet. That screams weakness, and a double barrel requires an image of strength to be effective. Getting intelligence on your opponents is always difficult, but there are a few tendencies you can try to identify that should impact your decision to try a double barrel. Does your opponent like to see a lot of flops? If so, then a double barrel might be profitable because they could be playing anything and may be more likely to chase backdoor straights or flushes that get busted with a bad turn card. Does this same opponent fold most of his hands after the flop? If so, and he calls your continuation bet, then chances are good he has connected with the flop, meaning a double barrel is not a good idea. Does the player only see a few flops? If so, then you can imagine he is pretty tight, and if a player like that calls a continuation bet, it could be an indication he has connected with the board. As with anything in poker, finding the right balance is key. It's never a good idea to become predictable, so firing a double barrel every time the opportunity presents itself is not a good strategy, but never firing one is equally as bad. Double barrels work sometimes, and sometimes they don't. The key is learning to identify the best spots and to not get discouraged when your double barrel fails. Reload and try again.